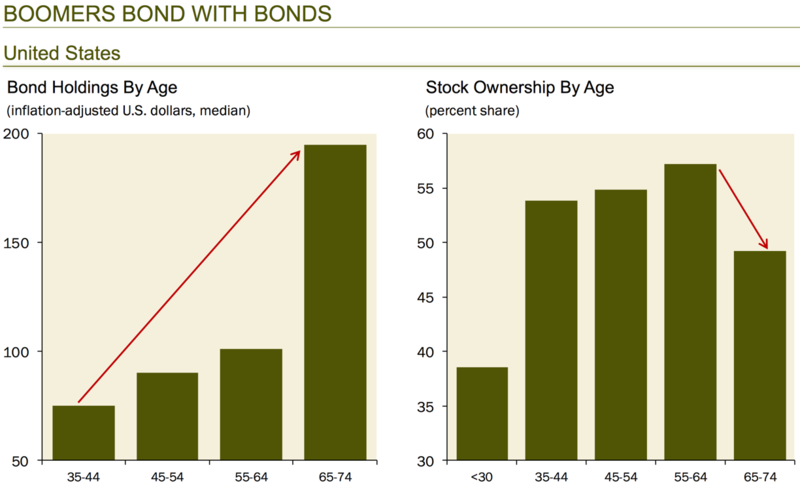 “When Boomers are retiring in their millions, they have 70% of their portfolios in equities… at a point in time when we are due a recession,” pointed out Grant Williams. “According to BlackRock, the average Boomer has only $136,000 saved for retirement. Even with return assumptions fixed at 7%, when they’re more like 2%, you are talking an income of $9,000 a year… that’s $36,000 shy of the ideal retirement income,” adds Williams. However, with today’s yields, bonds won’t provide the needed income. Even if boomers decide to stick to equities for higher yields, there’s another reason they will be forced to divest their equity holdings—one they have little choice in. For Grant’s thoughts on what the retirement crisis means for the US economy, big demographic trends, and more—watch the full interview below.